The chic interior design by Robert and Cortney Novogratz of Sixx Design offers modern elegance with a vintage touch. Located at 400 West Street in New York’s West Village, the contemporary home overlooks the Hudson River with views of the Empire State Building and city skyline. This stylish yet functional family home with over 7,000 square feet of living space even has an indoor basketball court. Native Southerners Robert and Cortney Novogratz moved to New York City more than ten years ago and purchased their first townhouse in Manhattan — a crumbling building in need of major rehabilitation. They discovered their knack for designing and renovating and launched their business, Sixx Design (a name inspired by their brood of six children). 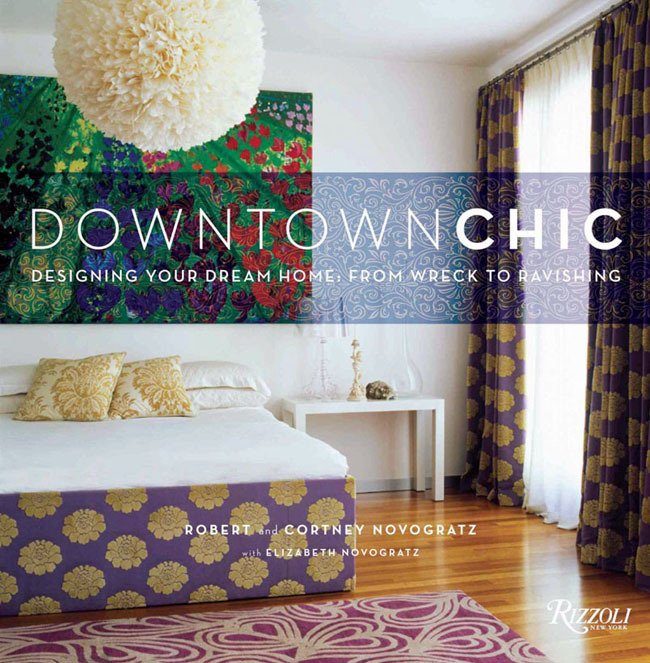 This beautifully illustrated book, Downtown Chic, published by Rizzoli, takes the readers through their innovative design process through the years, from townhouses in New York City to a country house in Massachusetts, and a beach house in Brazil. The book includes before and after photos as well as tips and advice on buying wrecks and turning them into comfortable dream homes. 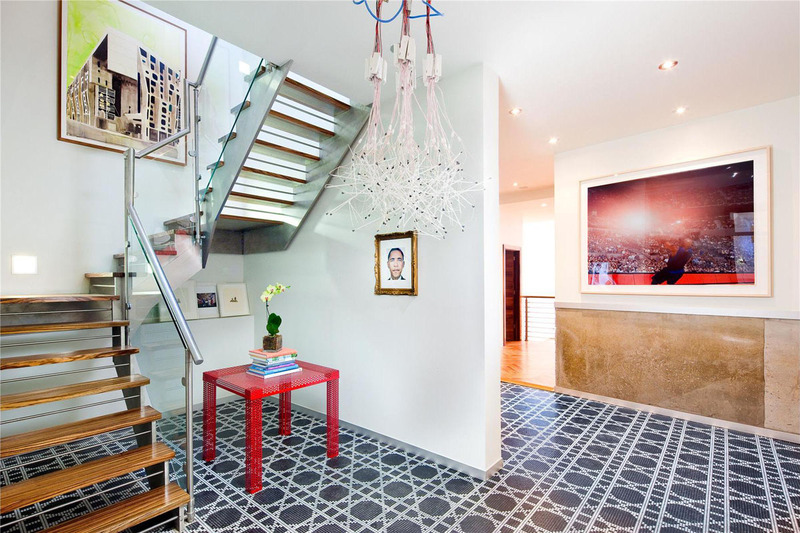 Robert and Cortney Novogratz of Sixx Design took a beat-up old building in New York City and transformed it into a functional, chic and fun family home for the couple and their six children. 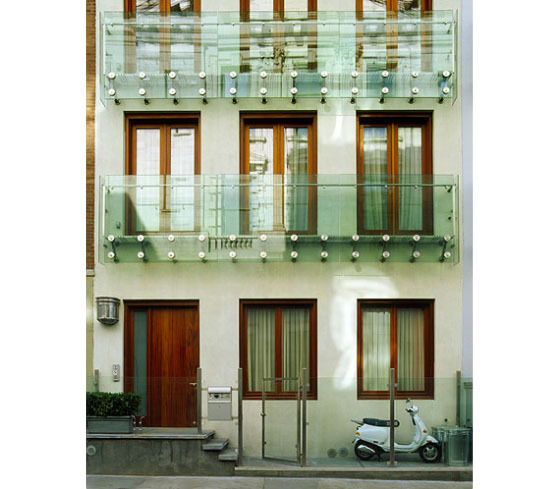 They installed glass balconies to maximize the view from the inside. For the interiors, they created a sleek and contemporary look and put a working vintage fountain on the back of the outdoor patio for contrast. For their kids, they built a basketball court on the roof and designed a dome over the court to mirror the dome of the building across the street.